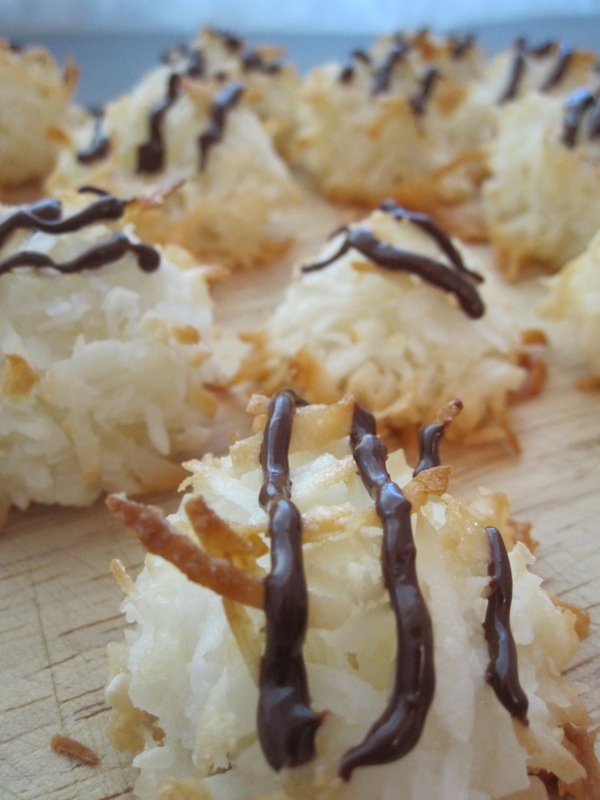 when asked to bring a dessert or sweet to a party, coconut macaroons are one of my favorite choices. they are easy to make for a large group, + always are a huge hit. also, it seems like many people have never had them before, + it’s fun to introduce people to new foods, especially ones that they can make themselves. one of the things i like most about macaroons is that they are appealing year-round. some sweets, like popsicles, key lime pie, or pumpkin pie, have a decidedly seasonal feel + just wouldn’t seem right if served in a different season. macaroons, however, fit in just as well at an easter party as they do at a fall cookout. i have a long history with macaroons, as we frequently had them around the house when i was growing up. this was especially generous of my mom, as she could not (+ still cannot) stand coconut. thanks, mom, for taking one for the team + keeping a constant supply of these around for me. my mom is exempt from making this recipe, but i expect everyone else to give these delicious macaroons a try! mix first three ingredients in a saucepan. cook over medium heat until mixture appears somewhat pasty, stirring constantly, about 12-14 minutes. remove from heat, stir in vanilla extract. spread out mixture on baking sheet, refrigerate until cold, about 45 minutes. preheat over to 300 degrees + line a baking sheet with parchment paper. form coconut into small pyramids/haystacks (about 1 1/2 inches tall) on the baking sheet. bake cookies until golden, about 30 minutes. transfer to a cooling rack + allow to cool. 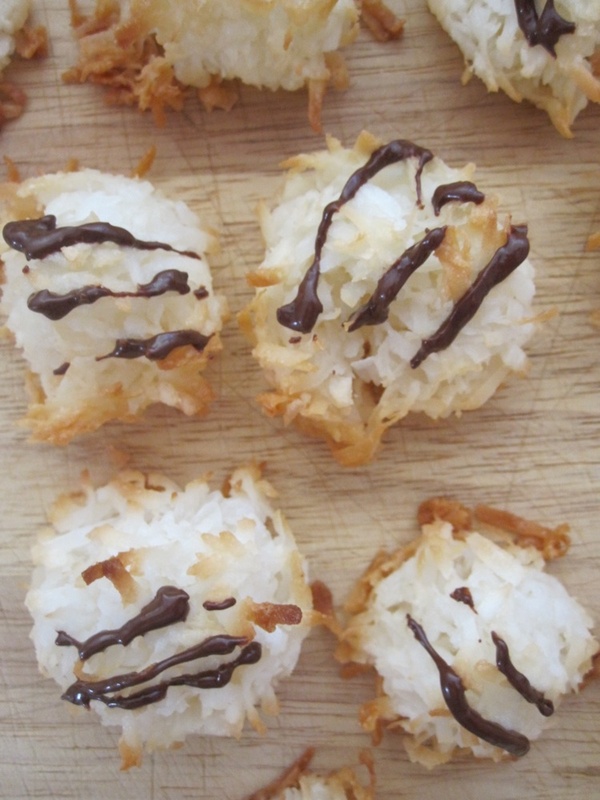 optional: if you want to drizzle the macaroons with chocolate, melt chocolate in the microwave or on the stovetop. transfer to a small piping bag (or a ziplock bag with the corner cut off) + drizzle onto the cooled cookies. Thanks a lot for sharing this with all folks you actually recognise what you’re talking about! Bookmarked. 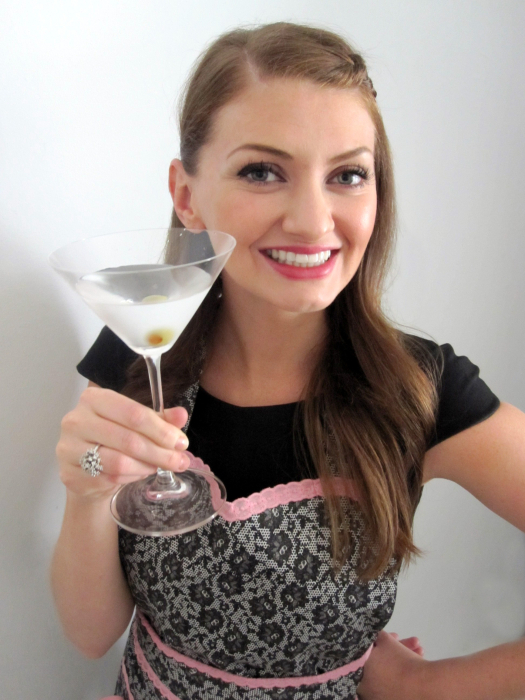 Kindly additionally consult with my site =). We will have a link exchange contract among us!